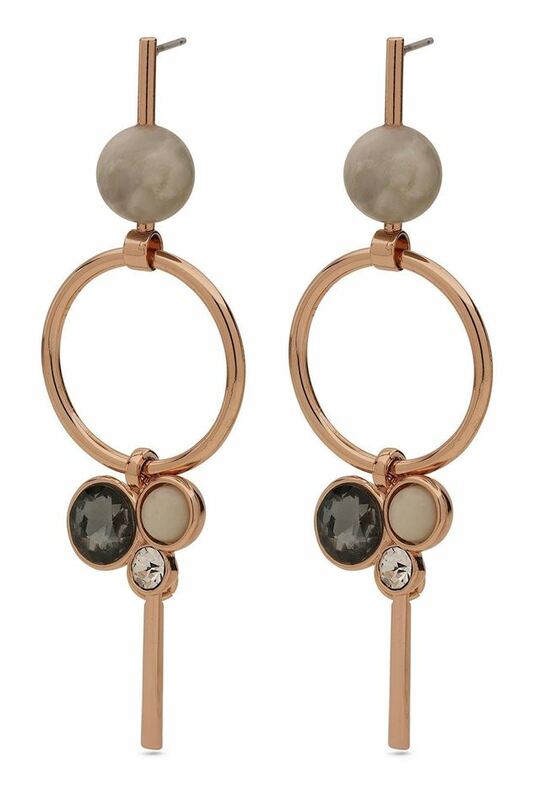 The beautiful stones in different colours break up the clean, graphic shapes in these statement earrings. The beautiful stones in different colours break up the clean, graphic shapes in these statement earrings. This creates a beautifully playful and colourful expression. Unfold your sense of beautiful colour combinations and create your own personal look with these earrings that exude creativity and the courage to be unique.